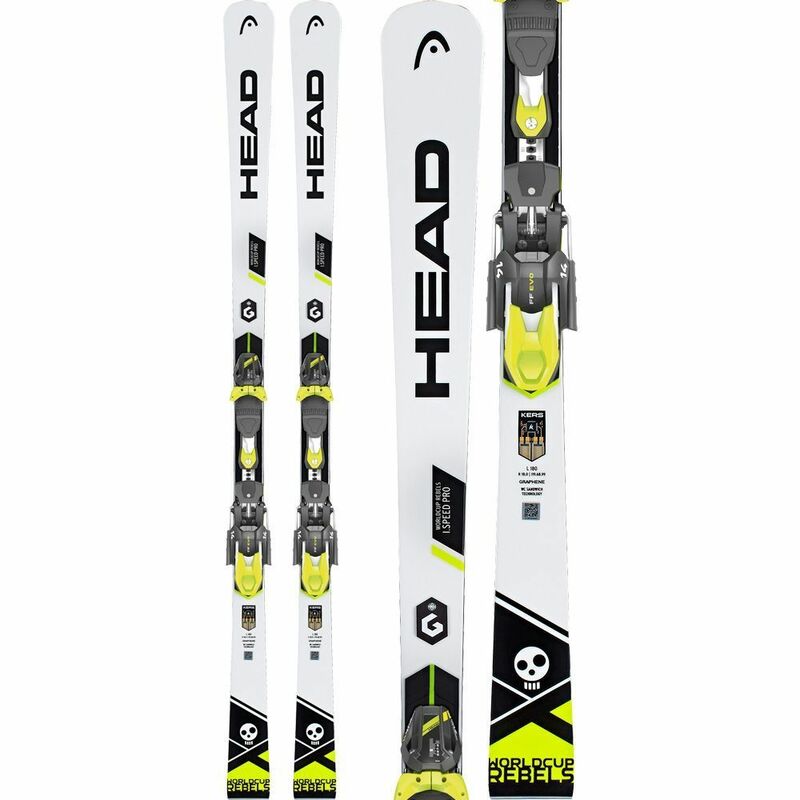 HEAD WC REBELS I.SPEED PRO MSRP: $1025.00 BINDINGS NOT INCLUDED DESCRIPTION Step into the World Cup Rebels i.Speed Pro and be crowned king of every piste. Squeeze the last drop of speed from the extended radius. Your expert technique puts you totally in the groove since the ski gives you incredible stability and perfect edge grip. It also helps you to smoothly carve your long sweeping turns. Whether it's on early-morning corduroy or in icy terrain: no one comes close to your speed and precision. 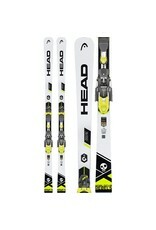 It's why you and the thoroughbred World Cup Rebels i.Speed Pro ski are the dream team. FACTS SPEED:	superfast TERRAIN:	On Piste SKILL:	Experts LENGTHS:	170/175/180/185 RADIUS:	18,0 @ Length 180 SIDECUT:	119 / 68 / 99 @ Length 180 FEATURES KERS Intelligence Technology Graphene Worldcup Sandwich Cap Construction RD Race Structured UHM C Base Rebel Camber SIDECUT LENGTH: 165, 170, 175, 180, 185 SHOVEL: 117, 118, 118, 119, 120 WAIST: 67, 67, 68, 68, 68 TAILS: 98, 98, 99, 99, 100 RADIUS: 15.1, 16.1, 17.0, 18.0, 18.9 GRAPHENE is the thinnest and lightest element ever discovered by mankind. GRAPHENE is also the strongest material on the planet, stronger than diamond and 300 times stronger than steel, all in the thickness of one atom.